Kitty , whose real name i almost missed in the book unless i realized , she was Ketaki ( i thought she was trying to give a false name :|) is the only daughter of a successful creative lady and an adorably dotting dad who is a professor. With some amazing friends , roommate , ex-bf , and a current love interest , this story is a fun read for most parts. Reading Kitty's survival and mis-adventures across different Delhi parts gives the reader a good idea of this city - both the high and low of it . Since, I am from the city and having seen most of it , the stuff was a little cliched but endearing in its own way. More than that , I loved the way Kitty has a thing to say for everyone and mostly herself. She is not too flattering about anyone , but in a real sort of way , her dialogues and reactions were witty and spot on. Also, I had a little issue with the way she wasn't a responsible person when drunk , nor her friends too keen to address that any time or be aware of it. That felt unlike friends. 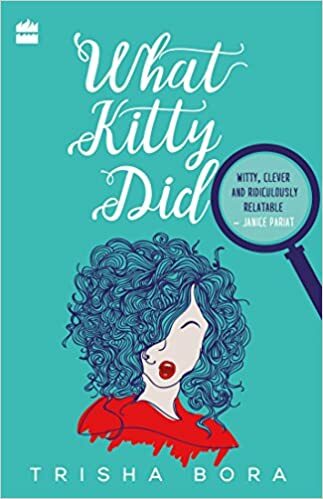 What Kitty Did , though appears to be a thriller from the blurb , the thriller part is actually the reason this book falls a little short of the wow factor.The whole cast and plot for the mystery section of the book looks incomplete and hurried. the multitude of characters do not allow even one of them to be explored and presented in detail - not even the victim. Why Kitty gets involved in it , might be understood but how she figures it all out and why the murder happened , is still not too clear to me. What you need in life is a set of friends. Loyal as dogs, frothing-at-the-mough-to-stic-up-for-you friends. Without that , you're a goner.